One of the members of the 1909 Lloydminster team also fought for Canada in the First World War (he was wounded at Vimy Ridge) and became a member of the Alberta Legislature. James Robert Lowery sat as a Conservative member of the house from 1913 to 1921. 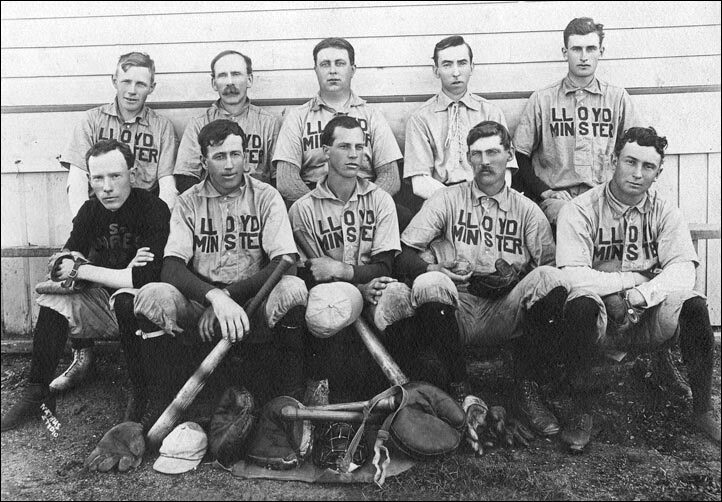 Among the Lloydminster players in 1909 were James R. Lowery C, Stiles 1B, Davis CF, G. Miller 3B, Brown SS, Forrester RF, Lewis LF, Elmer Leer P, Taylor, H. Sample C, B. Sample CF, Manchester 2B, Saunders LF Brown SS, Wiseman 3B, and Reynolds. However, there are 10 players in the photo. Lowery is believed to be one of those in the photo, but it is not known which one.